God enfleshed Himself and became one of us in order to redeem and rescue us from sin, death, and the devil. Christ’s incarnation forms the substance of all Christian preaching, and it is the essence of every celebration of the Lord’s Supper and Baptism, every proclamation of Absolution to repentant sinners. That’s why the Christian Church gathers around preaching and the Sacraments, and that’s why books of sermons continue to be published and cherished in the Church. Christ is present in His body – for us, for forgiveness. The sermons in God With Us embody incarnational preaching. 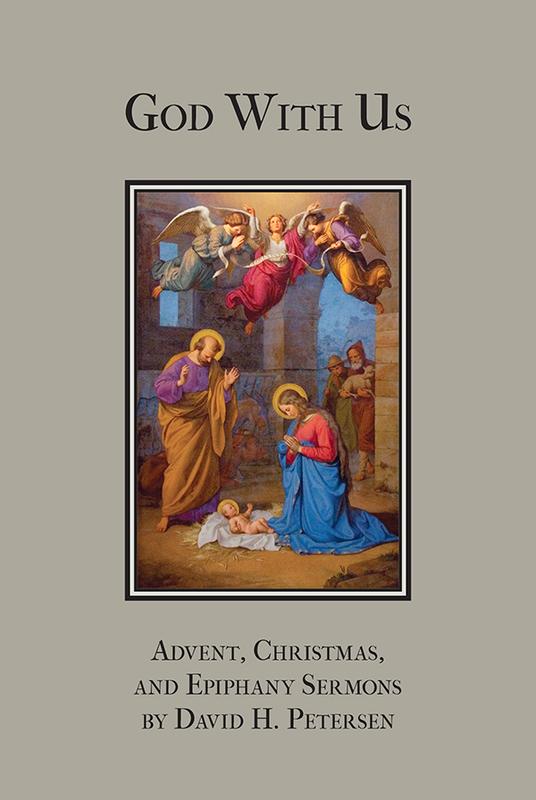 In fifty-nine sermons spanning Advent, Christmas, and Epiphany, including daily readings for all of Advent, Pastor David Petersen preaches an ever-present Christ, a Christ for you, a Christ with you. “This book is a treasure trove for private or family devotions, as well as a solid source of homiletical material for daily chapel or Divine Services” (Beane). Find reviews here.